Honey-Can-Do HNG-03821 20-Pack velvet touch suit hanger, Fuschia Print. 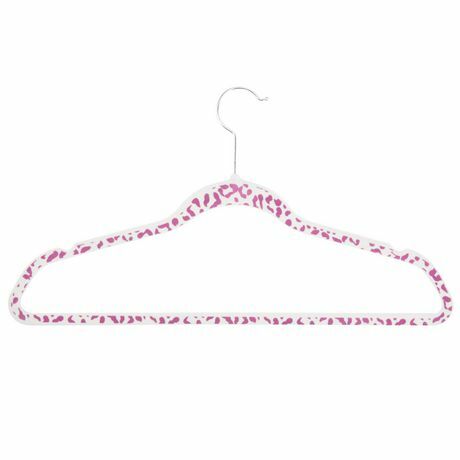 Beautiful, soft, and durable, this clothes hanger is contoured to keep shirts, dresses, jackets, and pants perfectly wrinkle-free. Durable metal construction provides strength, reliability, and long-lasting beauty. Purple print velvet coating is gentle on delicate garments and provides a non-slip surface that holds fabrics beautifully in place. Slim, space-saving design makes the most use of available hanging space.